Symposium “Temporal Formal at Seidler City” on November 8th, 2014, 12–4:30 pm, Museum of Sydney. The exhibition “Harry Seidler: Painting Toward Architecture,” curated by Vladimir Belogolovsky, will also be on view. 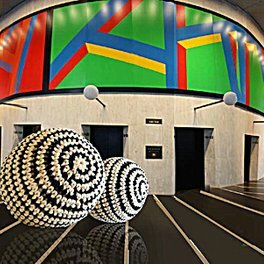 ​How can temporary artistic interventions be used to think about and experience architecture in new and different ways? That question will be pursued on November 7th 2014 as the project “Expanded Architecture” presents the exhibition “Temporal Formal at Seidler City” as part of this year’s Sydney Architecture Festival. 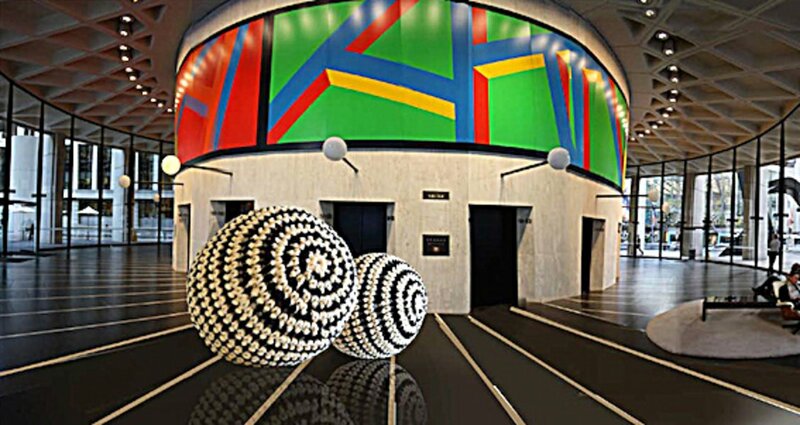 For one night, the lobbies of three architectural icons of modernism in Sydney’s central business district will become the subject of artistic exploration and the scene for art installations, sound experiments and performances. On the next day, a research symposium will be held by the curators – Dr. Claudia Perren, Director of the Bauhaus Dessau Foundation, and Sarah Breen Lovett, artist from Sydney – at the Museum of Sydney. Three of the most important buildings of Australian modernist architecture will be the focus. 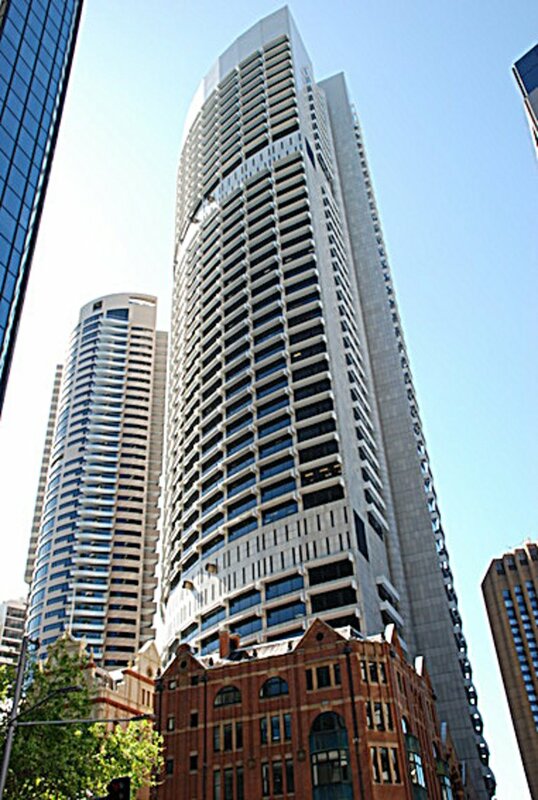 The high-rise office buildings Australia Square (1965-67), Grosvenor Place (1982-88) and Castlereagh Centre (1984-89) were designed by the Austrian-born Australian architect Harry Seidler. Harry Seidler, a student of Bauhaus founder Walter Gropius, is considered one of the pioneers of modernism in Australia. For his buildings, Seidler (1923–2006) frequently worked together with artists like Bauhaus master Josef Albers, along with American greats such as Frank Stella, Sol LeWitt, and Norman Carlberg, thereby drawing inspiration from their treatments of geometries and patterns. Against this backdrop, designers from all disciplines were invited by an open call to explore the intersections of art and architecture in various periods, from the Bauhaus era to the modular art of the 1960s. Eleven site specific works will now be shown in Sydney, under the title “Temporal Formal at Seidler City.” For example, in addition to a sculpture comprising chairs that are designed for self-assembly, which pays tribute to the Bauhaus-espoused idea of mass production, other works include a performance that refers to Oskar Schlemmer’s “Triadic Ballet” and an artistic exploration of the role played by women at the Bauhaus. “Expanded Architecture combines contemporary artistic experimentation and interdisciplinary scholarly discourse with direct contact to modernist architectural cultural heritage,” explains Dr. Claudia Perren about the initiative, which she has been curating since 2013. Although he is relatively unknown in Europe, Harry Seidler is considered to be Australia’s most renowned modernist architect, who brought the ideas and principles of international modernism “down under.” Born in Vienna in 1923 as the son of a textile manufacturer, his flight from the Nazis in 1938 first led him to England and then to Canada and the USA. 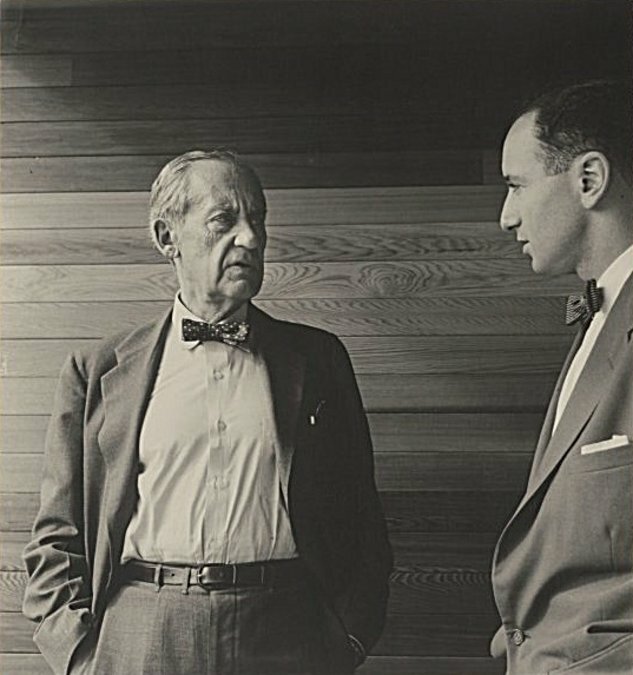 It was there, at the Harvard Graduate School of Design, where in 1945 he got to know Bauhaus founder Walter Gropius, who had also emigrated, and became his master student. One year later he studied with former Bauhaus master Josef Albers at the legendary Black Mountain College in North Carolina, and afterwards he worked for other greats of modernism, such as Marcel Breuer, Alvar Aalto and Oscar Niemeyer. In 1948 Seidler followed his parents to Australia – initially just to design a residence for them. The cubic Rose Seidler House, characterized by glass and featuring flowing forms and an open plan, in a suburb of Sydney, was the first building on the fifth continent, in which modern methods of design and construction were so consistently pursued and implemented. 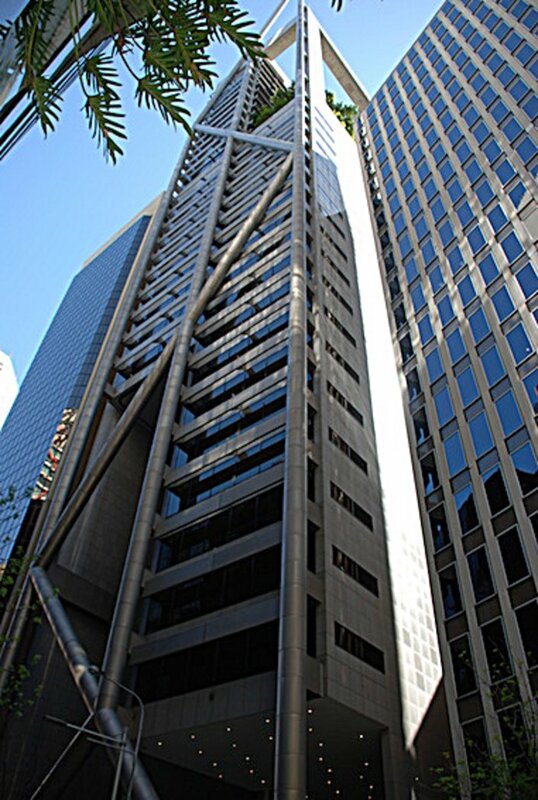 Harry Seidler settled in Sydney and opened his architectural practice in 1949. 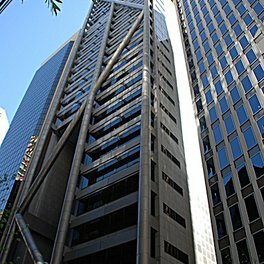 After designing other residential buildings according to Bauhaus ideas, in 1967 he created Australia Square, the country’s first building complex to combine office spaces with retail spaces, large halls and parking – thus merging private property with public space. 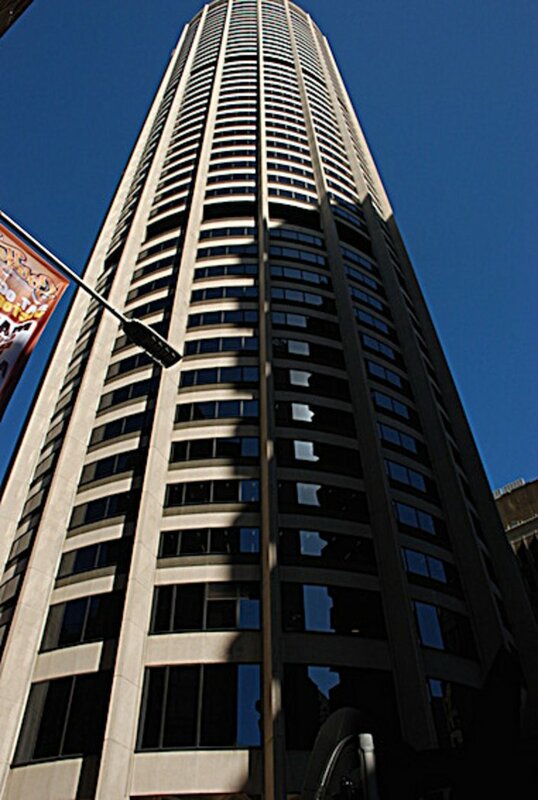 The 50-story skyscraper with a round floor plan effectively altered the silhouette of Sydney and is, to this day, considered by many as the most beautiful high-rise building in Australia. 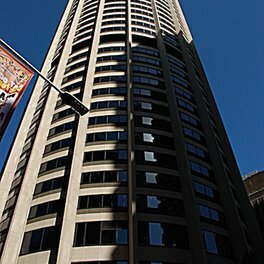 Beyond that, Harry Seidler built a series of other buildings in Sydney that shape the cityscape: MLC Centre, the Horizon Apartments, Castlereagh Centre, and Grosvenor Place. In other Australian cities and in Europe, too, Harry Seidler has also left his architectural mark – with, for example, the Australian Embassy in Paris or the Wohnpark Neue Donau social housing project in Vienna. 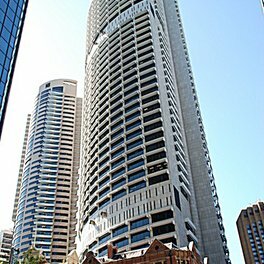 Seidler remained active as an architect until his death in 2006, and some of his projects have been completed posthumously. “Expanded Architecture” takes place as part of the Sydney Architecture Festival and since 2011, it has been devoted to the experimental, interdisciplinary and temporary presentation of architecture and our architectural cultural heritage at various locations in the Australian metropolis. The project was initiated by Australian artist and curator Sarah Breen Lovett together with Lee Stickells. In 2013 Dr. Claudia Perren joined Sarah Breen Lovett to curate the series together for the first time. “Expanded Architecture” has proven in past years to be a real crowd-puller at the architecture festival, and this year it has already completely sold out in advance. Bauhaus Dessau Foundation, Seidler Architectural Foundation, Sydney Living Museums, Sydney Architecture Festival, Museum of Sydney, Kawai, Australia Square, Grosvenor Place, Charter Hall, and The University of Sydney.